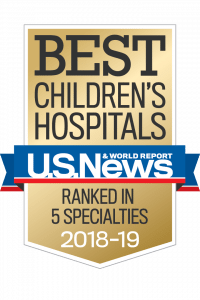 The hospital rated among the nation’s best in five specialties in the magazine’s annual rankings of children’s hospitals across the country. Johns Hopkins All Children’s had the highest ranking in Florida for neonatology and was the only hospital in Florida to rank in nephrology. Previous post: Publix raises $786,000 for sick kids in our community!